Tension structures are architecturally innovative forms of fabric art. 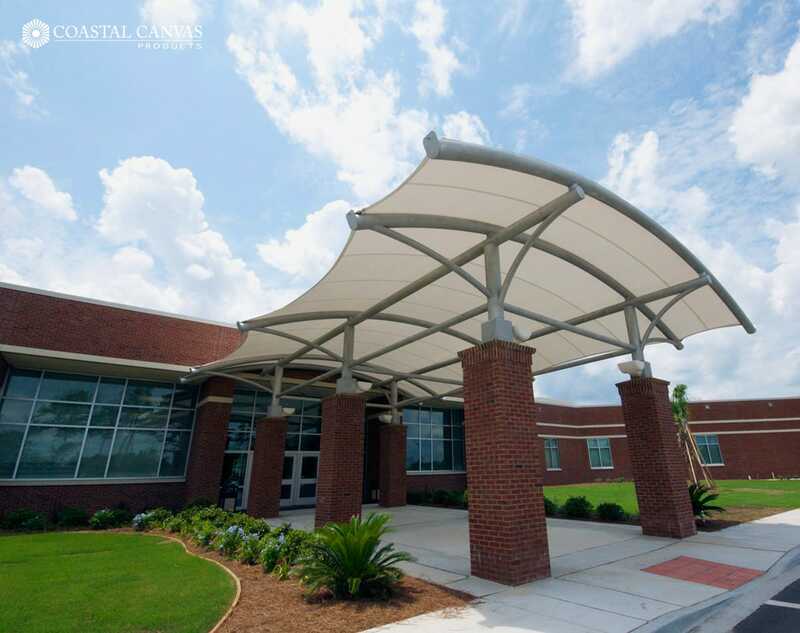 Custom-made tension fabric structures are engineered and fabricated to meet structural, flame retardant, weather proofing and natural forces requirements. 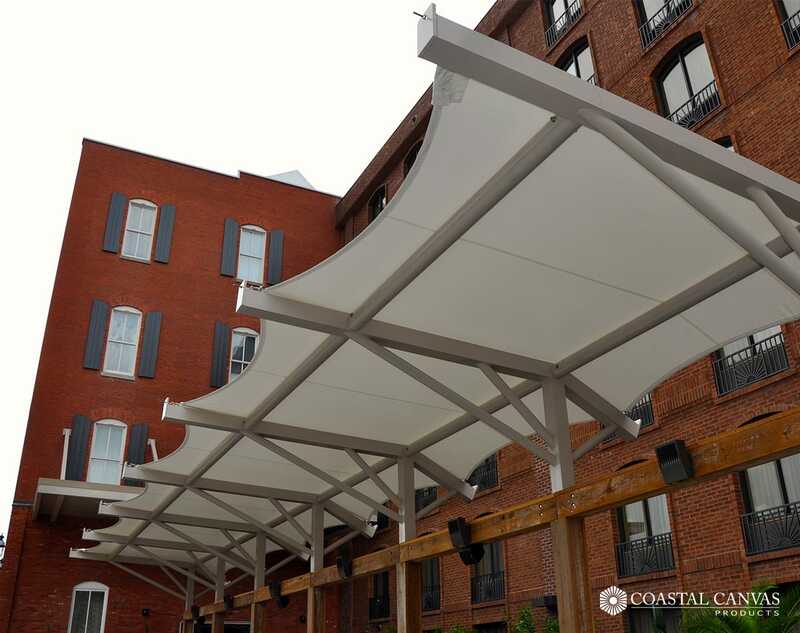 The Tension Structure Division of Coastal Canvas Products offers unlimited solutions for Architects, Designers, and General Contractors. From need to vision to idea to sketch to visual concept to shop drawing. 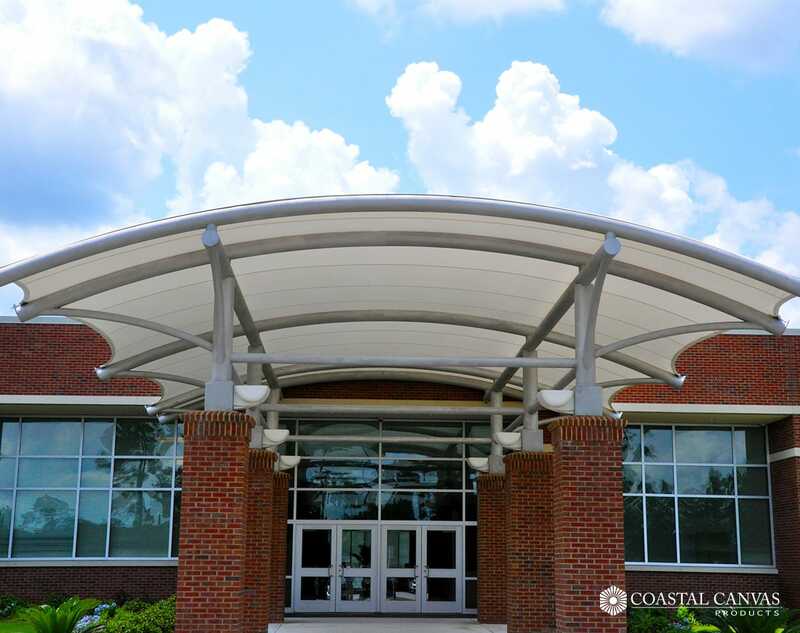 Whether you want us to collaborate with third party artists, Designers and Architects, or simply to work directly with you, Coastal Canvas Products can design the Tension Structure that blurs the line between form and function beautifully. 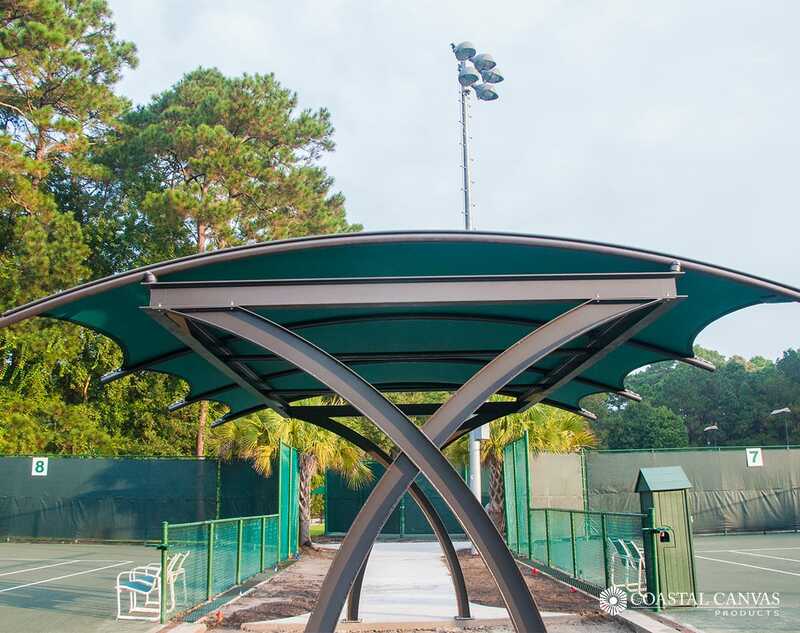 Every custom tension structure must be engineered to meet code requirements and to perform as expected. 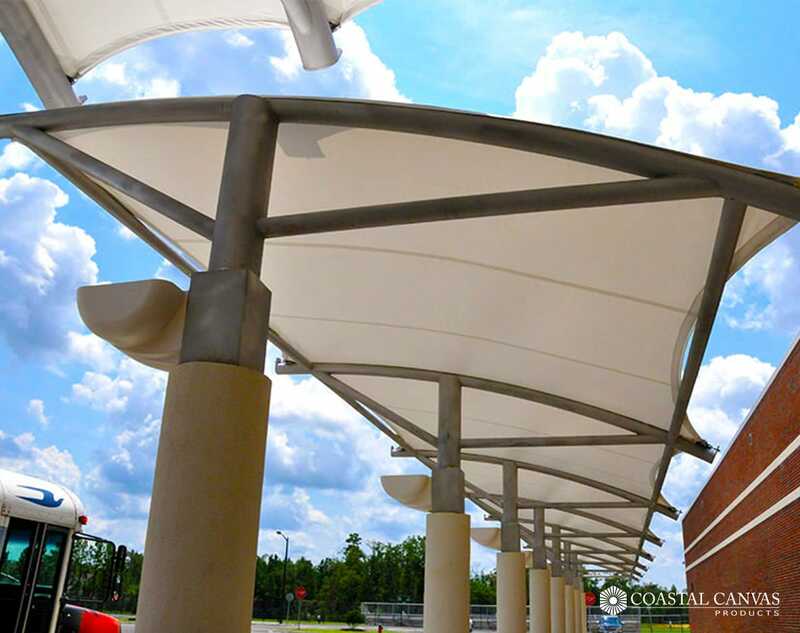 Every municipality requires certified engineered drawings as well as the analysis to determine optimum member sizes for the steel and fabric. 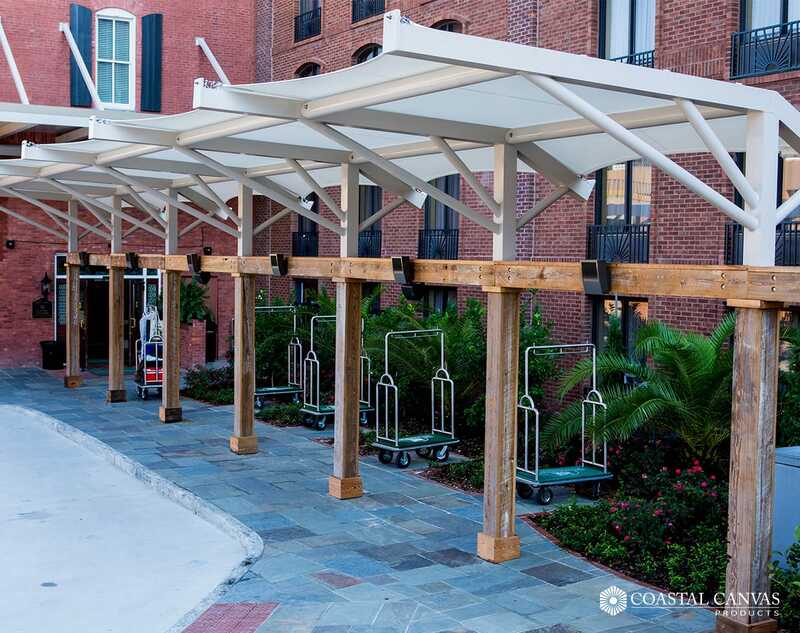 Whether your tension structure has been designed by Coastal Canvas Products or your Architect, we will be happy to offer our engineering services to ensure that your tension structure is efficient, safe, and certified. 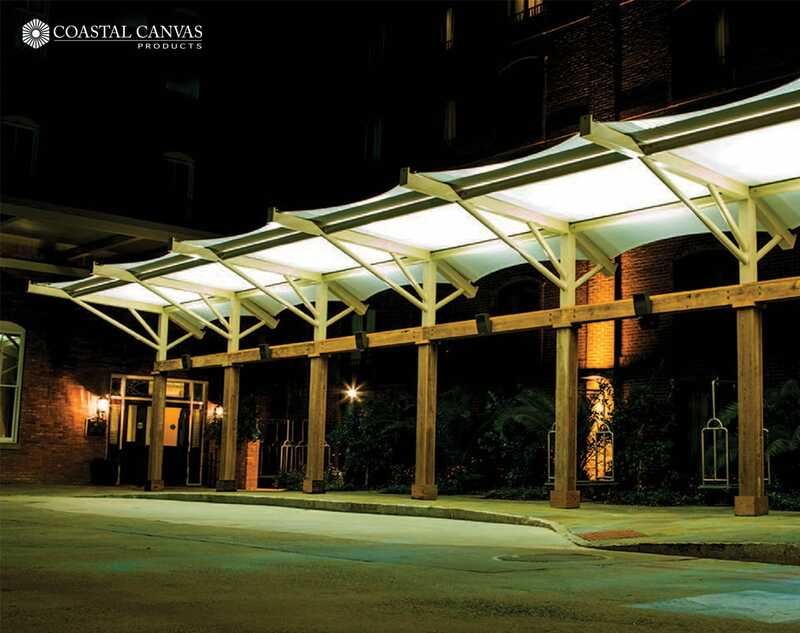 Coastal Canvas Products is proud to manufacture all of our tension structures. Our capabilities include engineered shop drawings, steel welding, aluminum welding, fabric patterning, CNC fabric cutting, fabric sewing and welding, custom tailoring and PVC or PFTE heat sealing. 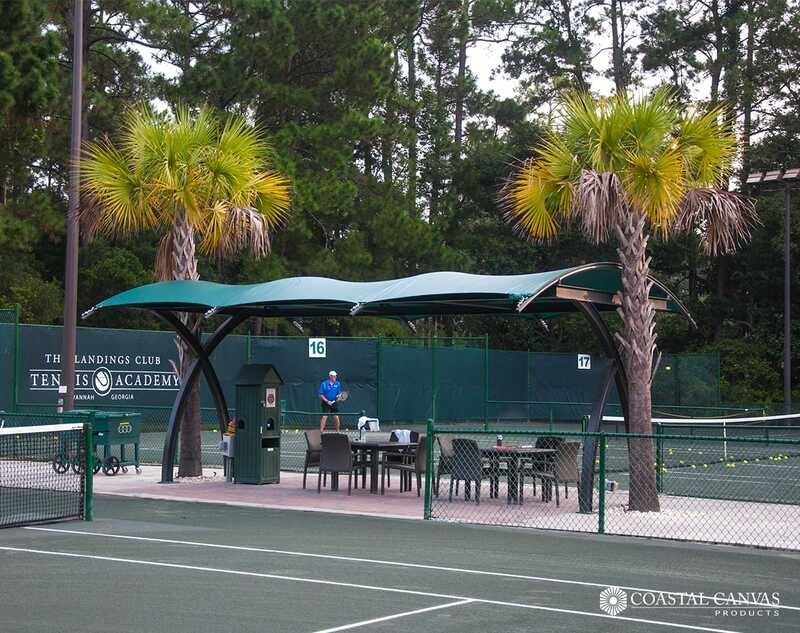 Coastal Canvas Products manufactures tension structures directly for the end user or will partner with awning companies, architects or design firms. 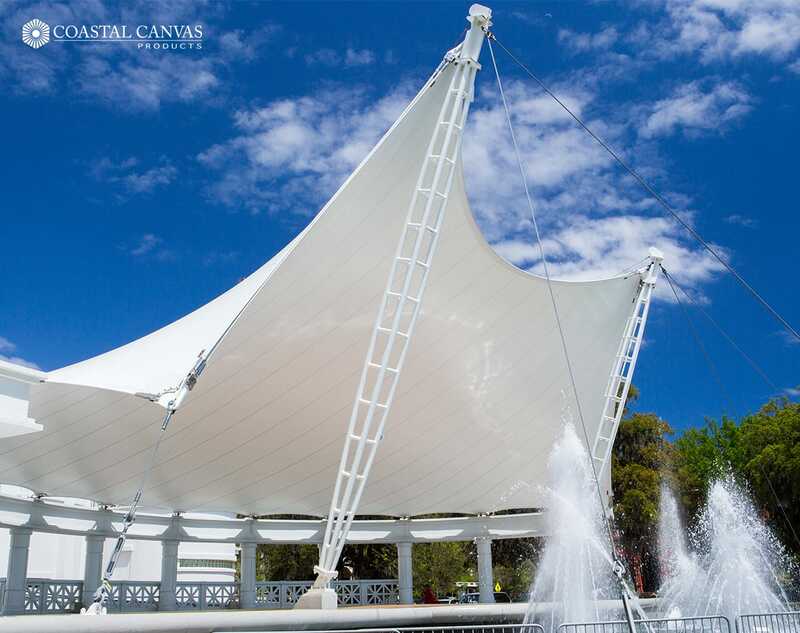 Coastal Canvas Products employs a team of trained installers and supervisors that will work tirelessly to install your tension structure until completion. 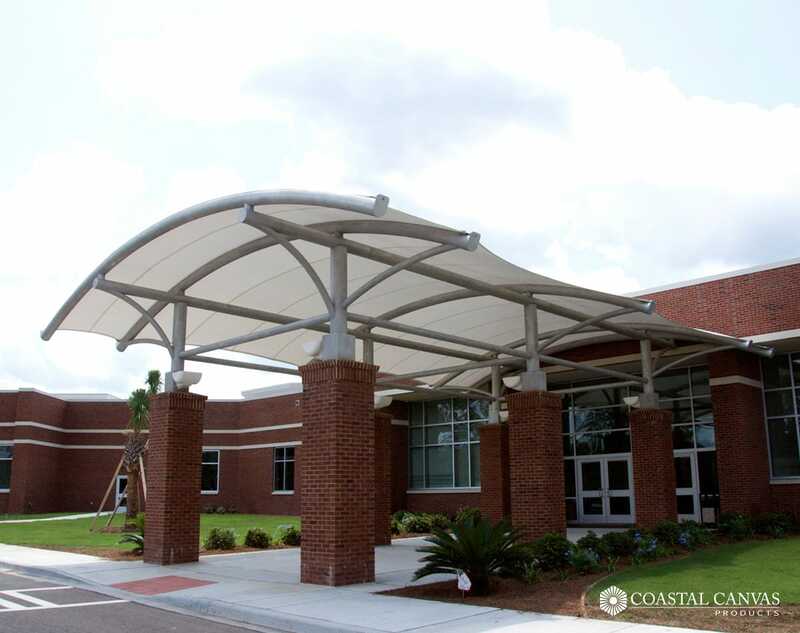 We are capable of safely installing any size tension structure.